This is the second post in a 6-part series from Ziba's Industrial Design Director, Paul Backett, on rethinking design education. Read the Introduction to the series, Teach Less, Integrate More here. Great designers are great empathizers. It's what separates a design that has soul from one that's simply well-realized. In my experience as a design director and as a teacher, it's become painfully clear that the ability to connect with users is something design students must learn, as crucially as they need sketching and CAD. Unfortunately, the most common student design project has students designing with themselves as the target user. 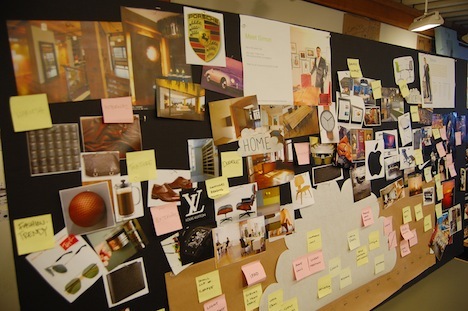 Research becomes a box to be ticked, and certainly never integrated into the design process. The real world, though, is full of unfamiliar design targets, and schools have a responsibility to teach the difficult skill of taking on their perspectives. What students need to learn is not just empathy, but extreme empathy—the flexibility to inhabit the mind of someone dramatically unlike themselves. In student projects as well as professional practice, we observe several users fitting a target profile, then build a character that summarizes and exaggerates their functional and emotional needs. But students too often make the more comfortable choice by picking a friend as their target. That's not good enough. Because this is someone they're already familiar with, they're blinded to the details. More important, it lets them off the hook of doing real research. A real strategic target is like a character in a movie: aspirational to others and inspirational to the designer. It also bypasses another needed skill: learning to love someone unfamiliar. I recently put my students at the University of Oregon through a character-building exercise. During the first critique, one group summed up their presentation by describing their character Michael as 'a bit of a douche.' While he may have had qualities they didn't appreciate, they were going to be spending the next 12 weeks with this guy, so I let them know they'd better find something they liked! They went back to the drawing board, and eventually seized on Michael's car, a classic Porsche, as a starting point. When they dove into its details, finishes and materials they started to see Michael as someone who cared about quality, honesty and integrity—attributes that led them to other brands with similar values, and served as a point of inspiration for their work. This was hugely beneficial as the term progressed, giving them a target for concept generation that they could personally inhabit. At Ziba, as at many studios, we have a flexible process for taking insights from ethnographic research and turning them into a set of tools to generate, evaluate and refine our designs. The terms are specific to our studio, but the approaches are universally valuable and necessary to developing the empathy that's often absent from modern design education. First, I have my students do a Live the Life exercise. Once they've identified a target user (that's not based on a friend), I have each student plan out a day in his or her life. Where does she get coffee? Does she drive to work or take the train? Where does she do her shopping, do her workout, get beers after work? Once they've planned out these steps, they go do them. Literally. Students are expected to experience the world of their imaginary character for a day, immersing themselves in its daily activities while observing and documenting the details—the people they meet, the architecture, the landscape, the products, the materials and surfaces. Everyone comes to the next class with a stack of pictures, a notebook full of notes and a few souvenirs they bought along the way. These artifacts are then used to build their extreme characters. Consumer profiles are hugely important, but often the ones students produce are haphazard and flat: a sad piece of stock photography, some clichéd product shots, all thoroughly uninspiring. Successful profiles dive deeply into the target's needs, both functional and emotional. I have my students start by going 'large,' buying magazines their targets would buy and visiting websites they'd visit, to cull images for creating a collage of their life. Building on the results of their live the life exercise, they fill a 4x8 character board with images and notes, then sort them using "gravity filtering," a process of moving the best images up and the weak ones down until they "fall" off the board. This edited collage is annotated with descriptions, which eventually become the project's design attributes. This process encourages students to question every image and every word, making sure it's believable and true. It's especially effective when done in teams, so classmates can review and ask tough questions about each others' characters. But it's not enough to simply define the character; extreme empathy means making her life as familiar as your own. This is where the crucial next step comes in, of building a consumer journey or 360 model—essentially a visual map of a day in the life of the user. It starts with her getting up in the morning, and then goes through a typical day, cataloging not just the functional aspects of daily life but also the emotional journey. The coffee she drinks in the morning: is it instant, espresso or French press? Why? Does it make her feel energized? Calm? Sophisticated? The 360 model is the time-based counterpart to the character board. Instead of a visual snapshot of the user, it's a timeline, running from the moment she wakes up to the time she falls asleep, highlighting every moment in the day that sets her apart. It's a clear summary of the Live the Life exercise that begins the research process. Once built, a 360 can be used in several ways. A specific product might be used at certain times of the day or week, and the 360 provides detail about that moment. 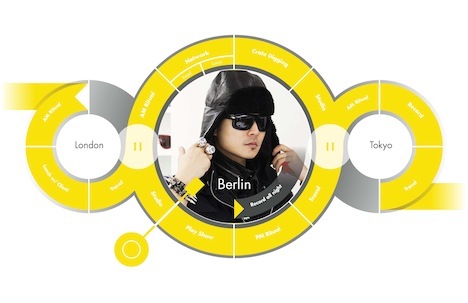 A 360 can identify unique opportunity spaces for the user, expose pain points and suggest how a product could serve them in multiple scenarios. Students can also build a mini 360 around a specific task, to draw out more detail and look for opportunities directly preceding or following it. Finally, it's time to formalize the tools. Now that students have gone large, they're asked to go small, distilling their character board and 360 model into tight, compelling deliverables that tell the character story with little or no external presentation. These should also embody the attitude of the character in their tone and visual style. Building these tools is also an opportunity for students to learn the non-linear nature of the general design process. They should continually jump backwards and forwards between these three exercises, to find fresh inspiration throughout the class, and keep each tool living and active. As teachers, our job is to ensure that the characters are not lazy caricatures, but believable people with emotional and functional depth. In the next few posts I will describe how these tools are integrated into the design process. Properly used, they inspire exploration, help with refining details and ultimately become a vehicle for communicating a product's true story. Rethinking Design Education Series Download a full .pdf of this series from Ziba's Perspetives page here. This is a great write-up. I couldn't agree more. I think this is especially crucial in designing for people with different abilities and trying to find answers that are not only the 'best looking' and best-functioning, but beyond that, can become truly personal and be in-tandem with their user/wearer/intended audience. this is absolutely fascinating! 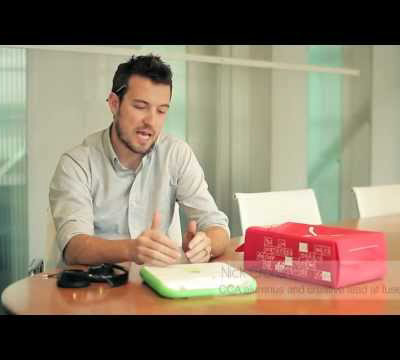 i was wondering whether you could tell me more about the character board, gravity mapping and the empathy board. as i am trying more and more to incorporate graphic facilitation in my work as a counsellor and facilitator, your ideas might be a wonderful addition! 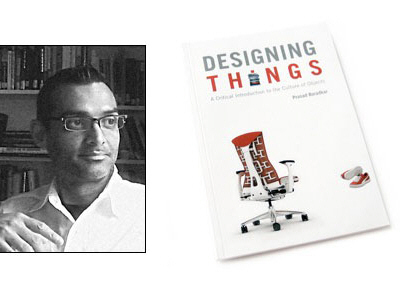 Prasad Boradkar's "Designing Things: A Critical Introduction to the Culture of Objects"